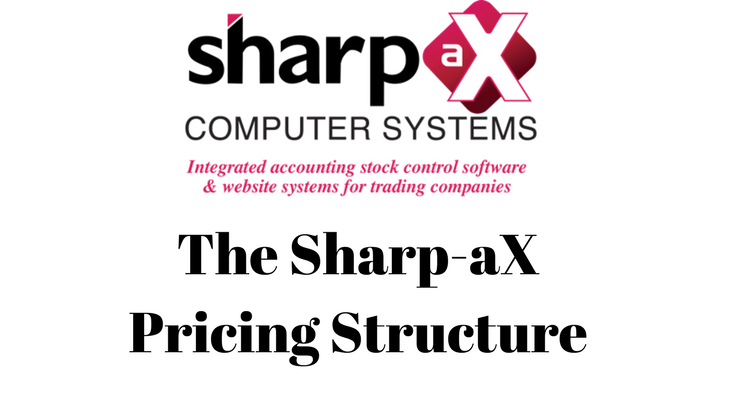 The Sharp-aX Pricing Structure is comprehensive, flexible, easy to use and is designed to meet individual company, product range and customer requirements. Flexible Pricing Structure – you choose! Price your goods by fixed price, with varying discounts, mark up or margin percentage as well as using quantity breaks, split pack pricing, chain discounting and settlement discounts. Stock Item A is purchased from Supplier X and belongs to Category 1. For Customer AA, they buy all items in Category 1 at 25% off the RRP. For Customer BB, they buy all the items in Category 1 at a 50% Mark up. For customer AA – An immediate price increase. For customer BB – The price increases once you receive your next delivery of stock as their price is linked to the purchase price. If you also wish to offer a special time limited price on Stock Item A to all customers, you can set this up with a single entry in the pricing system, complete with start and end dates, and this will override their usual prices. Avoid price discrepancies on your sales orders. Import price lists from Excel or save customer and supplier specific prices when entering orders and quotes. Add start and end dates to your promotional prices. Benefit from Contract Pricing feature. Check the price history of the item sold to the particular customer. Automatically calculates CIS tax requirements for CIS deductible items.